My wife and I appreciate the level of professionalism from the service department, specifically from Craig H. We were in Tampa visiting from Colorado. Our VW Jetta needed a oil change as we had a long journey ahead of us back home. We could not find any dealer to get us in ASAP, they all had 3 day wait times. Craig gave us a next day appointment and got us in and out quickly. Craig also ensured that the vehicle would be in top shape for 1800 mile road trip (tires, brakes, etc.). Huge piece of mind. Anytime that we will be in Tampa again with any one of our VWs we will definitely be reaching out to Craig. Keep up the awesome service Kuhn! 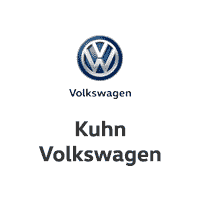 William at Kuhn VW made my car buying experience smooth and fun; he is a great conversationalist and a professional. Kuhn Auto Group themselves has aggressive prices and provides a ton of value for what you pay over a private party deal. They will absolutely take care of you. We’ve been shopping Honda CR-V’s for a few weeks. So many let downs! Vehicles in terrible shape, drive there and vehicle in Orlando location, limited selection, etc. We happened upon our vehicle through Autotrader. I called to confirm it was still available and actually at their location. Samantha was so kind to take the call, I asked her if she herself had seen vehicle and if it had any problems, she offered to go look it over and take pictures on her personal cell and send to me! Less than 10 minutes later, a string of pics are coming in from this wonderful lady! So we drove straight there. She had car pulled out and ready for our review. We test drove. Falling more and more in love with it as the minutes ticked by; as opposed to my husband saying NO THANK YOU upon laying eyes on it which was the norm until today. Samantha worked with the sales manager to get our price. The whole team stopped by to introduce themselves and shake our hands all the while ensuring our comfort. The process was much shorter than ALL of our prior car purchases. It is very obvious this dealership cares about their customers and each other very much! I wouldn’t hesitate to go back and do business with them again! Bought a 2018 Mazda MX5. Did I get the best deal? Probably not.I had a similar experience a previous reviewer had with high APR with great credit. I am in the process of refinancing with -1% APR. The gap coverage price is also high (+$500 of what my credit union charges). I will be changing that over also. The issue I have is with their finance dept. Finance guy will show you credit cards in his wallet all backed by MidFlorida to convince you to finance with them. His line is, if the finance guy has these credit cards in his wallet, then they MUST have the best rates. Um, no. Just get approved before you go in, and finance outside of the dealership,and you should be fine if you have great credit. As for the high price of the warranties mentioned by another reviewer, those are optional and I feel as though the price for that warranty is pretty much in line with what I have paid before at another dealer. As for the Salespeople (Anthony the Sales Manager,to be specific)- I had an issue with my car at point of sale (won't go into details here) and a feature I was told that was on the car, actually was not on the car. Anthony worked very diligently to make this right for me, and at the end of the day, was satisfied with the solution. I feel that what is promised matters to them and they will work to back up their word. Anthony was very helpful and attentive to my issue. If you are having a problem with a purchase, he would be a great resource to contact. As for the service department, I took my old Mazda there a few times for routine items- oil changes, etc. I was impressed with their level of customer service. Prices are fair, always gave a loaner car if needed, and they will also wash the outside of your car. Overall, I'm pretty satisfied with this dealership, and the part I was dissatisfied with is truly fixable. I was lucky enough to have William respond to online inquiry I sent about Jetta Sportwagen. Within five minutes of talking on the phone we had a fair deal worked out. I had spent the past week trying to work with other sales people who just dropped the ball by not following up and in two cases with these other sale people we were close to having things worked out. I felt so comfortable after speaking to him we drove to Tampa from Orlando and got the car that same day. Amazing. Also, Andy in their finance area was unbelievably quick with our paper work, I have never spent so little time sitting in a dealerships finance office. Thank you Andy!